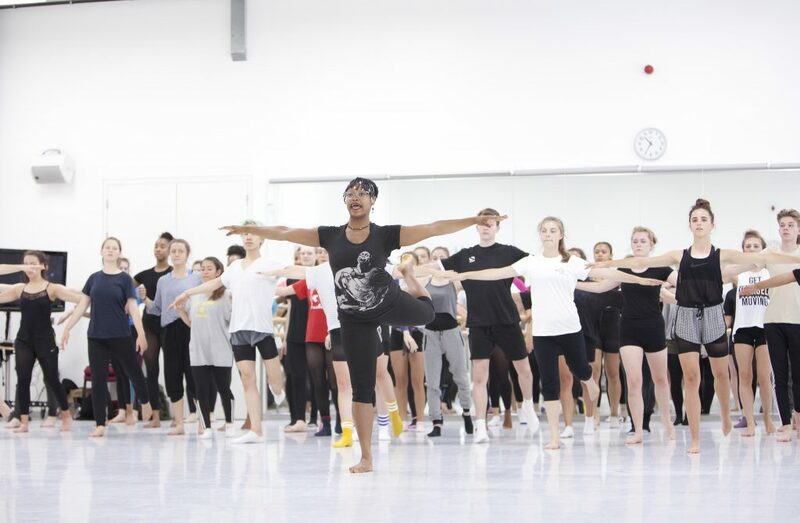 The Ailey Intensive was a partnership project initiated by Dance Consortium and coordinated by DanceEast in 2016, to bring Alvin Ailey American Dance Theater to Centre for Advanced Training students within an educative context, whilst the company were on national tour at venues throughout the UK. The Ailey Intensive was a four day intensive crafted to share the founding beliefs and vision of the company, providing in depth history about the Ailey organisation and its founder Alvin Ailey, giving students an opportunity to learn classic Ailey repertoire as well as provide a platform for the participants to express themselves choreographically. Below is a video of the Intensive, and click here to download an infographic evaluation about it. For more information on the project or to download a copy of the report please click here. Dance4 hosts the regional dance CAT (Centre for Advanced Training in Dance). Dance4’s CAT is a dedicated training programme created in order to nurture and support young people with potential, ambition and determination to become professional dance artists. Dance4 is interested in exploring how talented young disabled dancers could access training such as CAT, and so have commissioned Trinity Laban Conservatoire of Music and Dance with funds from the Department for Education to undertake a research project examining dance provision and progression routes for young dancers with disabilities in England.